Now that my nephew Oliver is over a year old, a world of foods has opened up to the little guy. My sister patiently and lovingly introduced one new thing at a time to ensure he didn't have any adverse allergic reactions and waited the full recommended 12 months for things like honey. Month by month the list of tastes, textures, and combinations Oliver has tried has grown, and its inspired in my mom and I a desire to come up with new, cute/tasty/fun toddler foods to whip up. 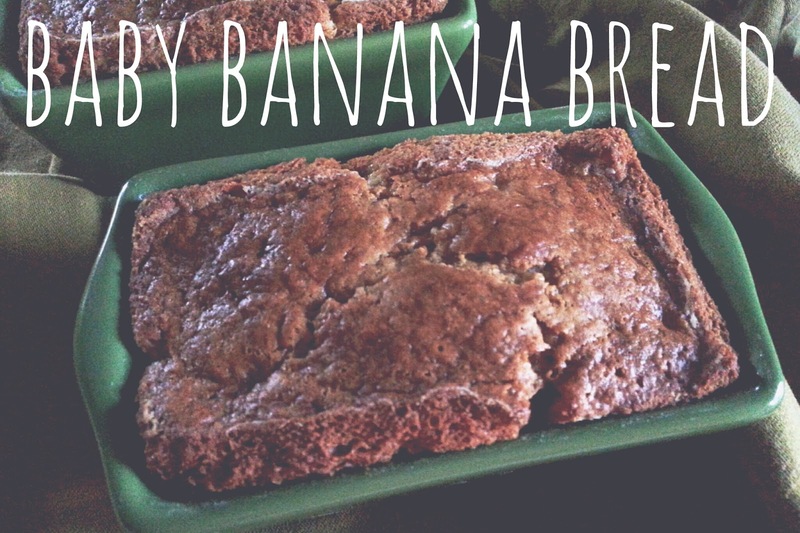 When I saw these adorable ceramic miniature bread pans at the craft store Michael's I knew I had to make tiny loaves of banana bread for my nephew. 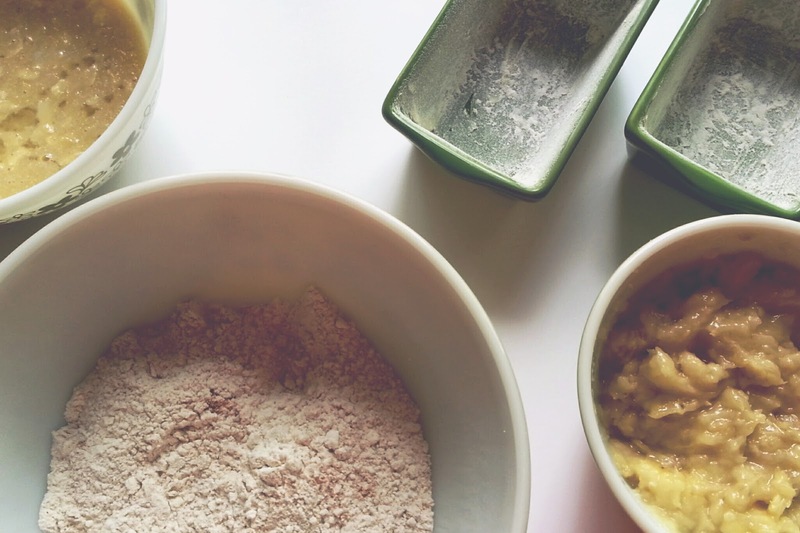 This recipe makes 4 mini loaves, perfect for a tiny tot, or just you! These little loaves also make nice gifts. 1. Preheat oven to 350° degrees. Grease and flour 4 mini bread pans, and set aside. 2. Sift flour, baking powder, baking soda, salt, cinnamon, and ground nutmeg into a large bowl. 3. In a separate bowl combine the remaining ingredients; the egg, milk, sugar, and butter, and mix together. 4. Combine the wet and dry mixtures and add in the mashed banana. Do not over mix. 5. Pour the batter into the prepared loaf pans and bake in the preheated oven for 40 minutes or until a toothpick inserted into the middle comes out clean. Let the loaves cool a bit before removing from the pans. Alternatively, you can pour all the batter into one greased standard bread pan and adjust the baking time to 1 hour.